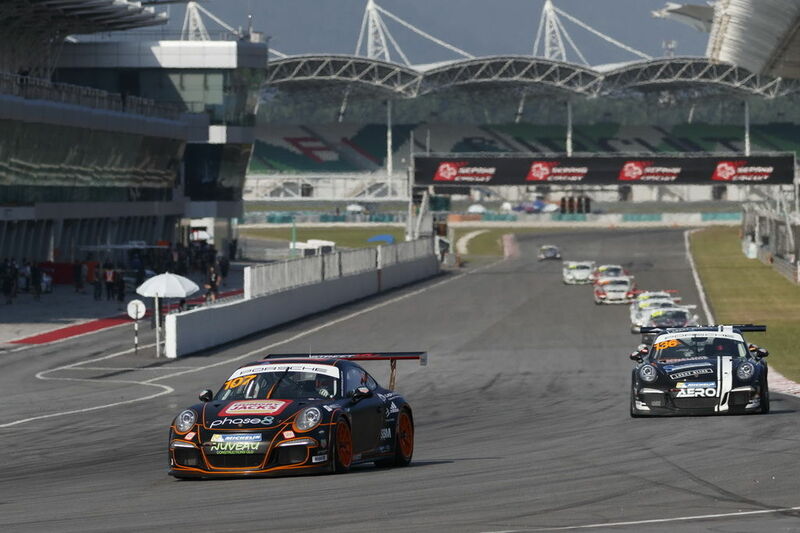 The excitement regarding the first ever Carrera Cup Australia round in Asia had been building for many months. Transporting all our Cup cars and equipment to Malaysia was a large logistical exercise with the awesome MR crew preparing the cars and packing the containers over a month before the event. In qualifying Jaxon had the 2nd fastest lap time but was penalised for exceeding track limits and lost his best lap time, so he qualified 7th. In race 1 he got a reasonable start and raced hard with McBride ahead and Kern behind. We didn't quite have the set-up of car 7 right for Jaxon on this fast flowing circuit and he struggled with an overall lack of grip which made it difficult to make progress. After McBride was turned around by an optimistic move by Abela, Jaxon finished 5th. In race 2 he started 5th, he had a cracking start and first lap getting up to second before a spin then he was hit head-on by an inattentive 'pro' driver putting him to the rear of the field. His drive from the rear of the field to 7th was outstanding. 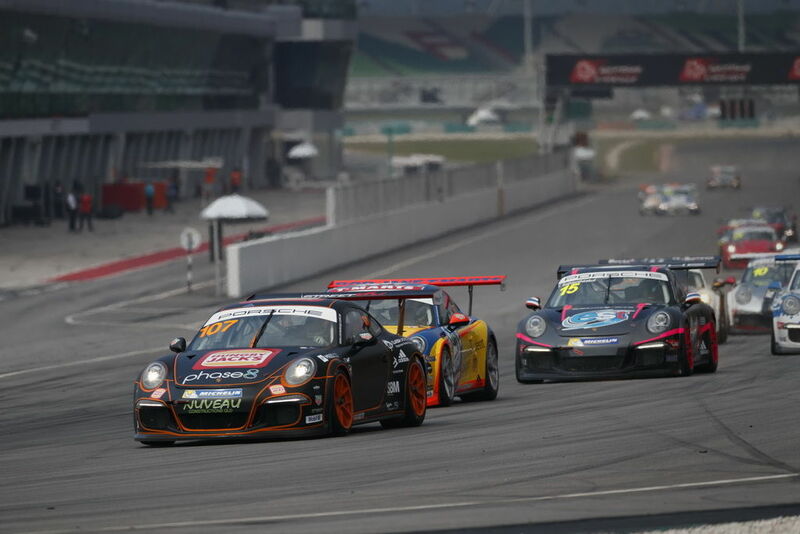 In the 'International' combined Asia/ Australian 'Pro' race, Jaxon started 13th and forced his way through the field in the opening laps until he caught our mate Alex Davison. They had a spirited dice but Jaxon was unable to get by eventually finishing 9th. Simon qualified 11th in Pro class. He drove a smart and forceful race getting the better of team-mate Tim Miles and Steve Grove. He made a slight mistake running wide and Tim made a bold move to take advantage of the situation dropping Simon back two spots. He finished 13th on the road and 11th in pro class. In race 2 Simon was again in the wars with his team mates! This time he was planning a clean move on Grove when he was tagged from behind by Shane dropping him down the order, but he was still able to salvage a 10th in pro class. 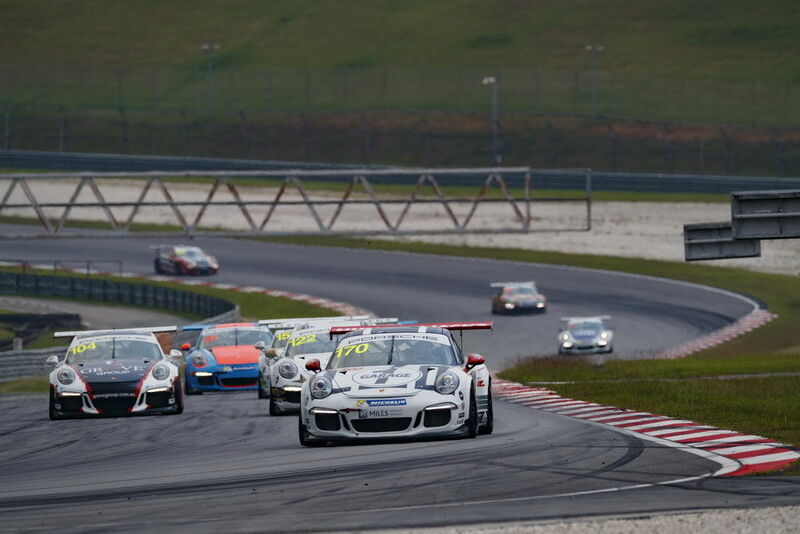 In the 'international' combined Asia/ Australian 'Pro' race, Simon did a good job finishing 19th in the 22 car field. He learned plenty and did his best times of the weekend in this star studded field. Tim qualified 3rd in Elite class. He got a decent start then had what can only be described as a 'battle royale' with Steve Grove and occasionally team-mate Simon. Tim and Grove swapped places 6 times, normally dive bombing each other for the lead of the Elite category. On the race to the chequered flag, Tim shifted gears 800rpm too soon losing 6/100ths of a second but only lost the race by 1/100th of a second! We made some changes to Tim's car for race 2, which had the car handling getting better as the race went on, but not soon enough to challenge Grove, so he settled for 2nd. 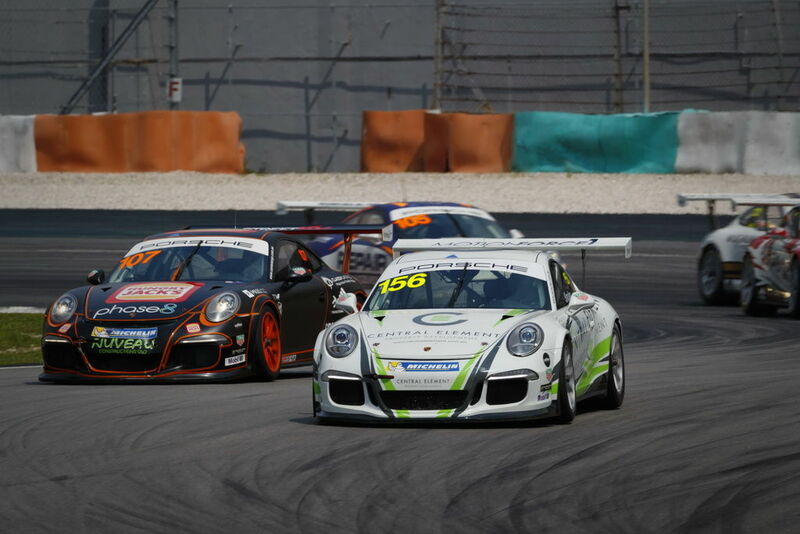 In the 'International' combined Asia/ Australian 'Elite' race, Tim started 5th. He got another ripper start and got straight into 3rd at the start then 2nd later in the lap. If not for a safety car when he had a substantial gap to third, he would likely have finished 2nd. In any case, his third place was enough to place him as the only Australian driver on the Pro-Am podium was a terrific result for Tim. This was Shane's first sprint round since Bathurst last year, but he still managed to qualify 4th in Elite class. He was having a great race with old sparring partner Marc Cini before a gearbox issue where he lost 6th gear and obviously a lot of top end speed. He soldiered on but his race was relatively quiet. In race two Shane was clearly getting into his groove and was much happier with his understanding of this challenging F1 circuit. He had a much better run, dicing with pole sitter Cook until he got the upper hand and finished 3rd. 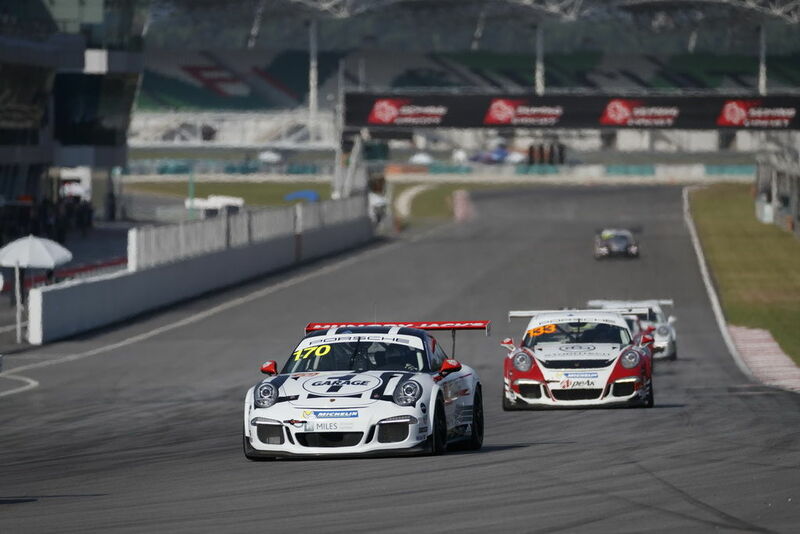 In the 'International' combined Asia/ Australian 'Elite' race, Shane started 7th. 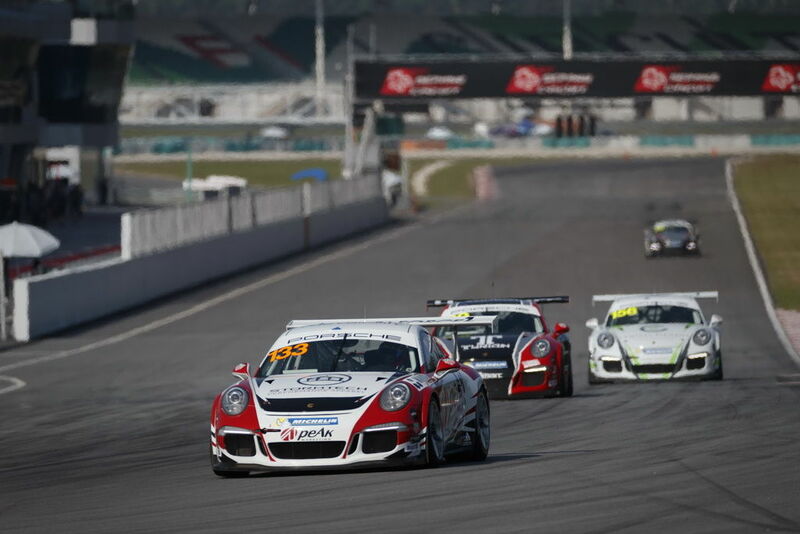 He had some torrid battles with the Asian drivers, often running as high as 4th, ending the race back in 7th place. 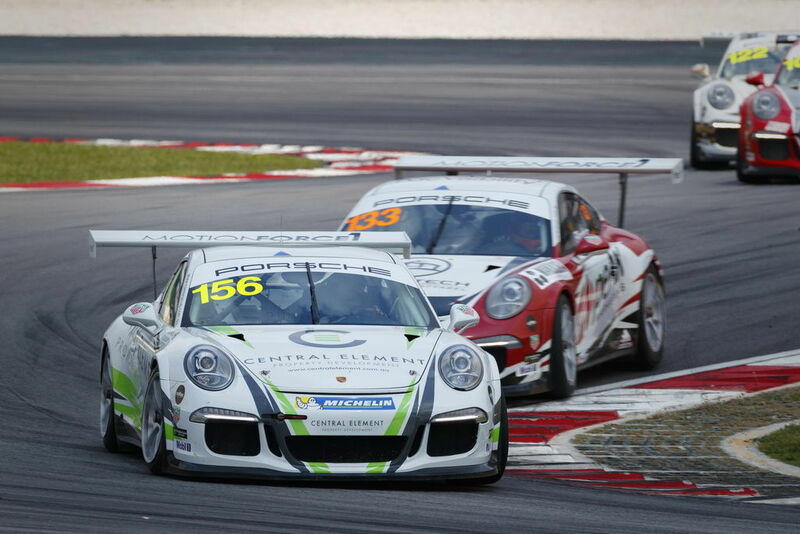 There was a great atmosphere at Sepang and it was a terrific experience to race on Malaysia's Formula 1 circuit. 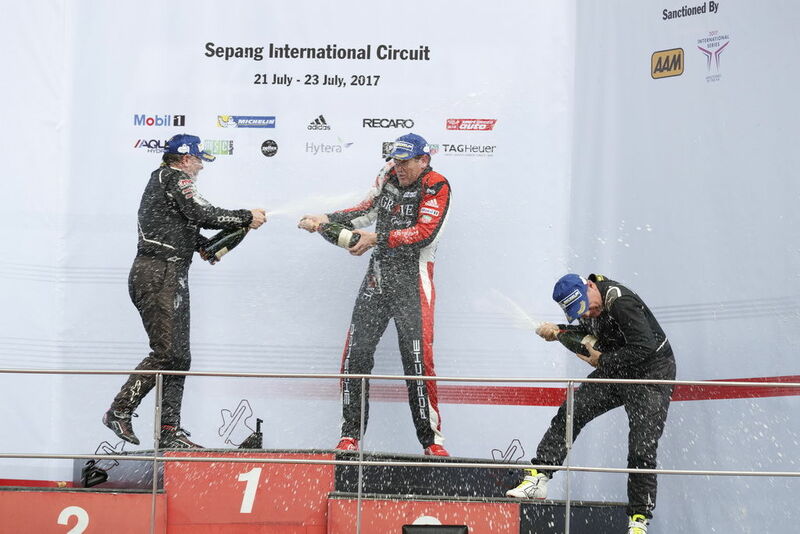 While a couple of minor mistakes cost Jaxon a podium for the weekend, Tim picked up the silverware for MR with two podium visits by finishing 2nd for the weekend in Elite class and 3rd in the Elite international race against the Asian Pro-Am drivers. Simon enjoyed the experience and showed us further improvement especially his lap times and consistency in the Pro international race. Although he took longer to get used to the track than he would have wanted, it was also good to see Shane Smollen back in his Cup Car for weekend. Many thanks to Matleena, Steve, Daniel and Paul from Porsche Cars Australia for coming up with the concept and the Carrera Cup Asia management, teams and drivers for their hospitality. And as usual many thanks to the awesome MR crew for a great effort. The next round is in 7 weeks at Sandown in Melbourne. See you there!